Apprentice Chris Caserta is well advanced in his bid to get down to the featherweight of 44kg to ride two-year-old Jedastar in the Lightning Stakes at Flemington. It will be the lightest weight a jockey has ridden at in Victoria since Stephen Baster partnered Clever Zoe in the 1993 Lightning Stakes (1000m). 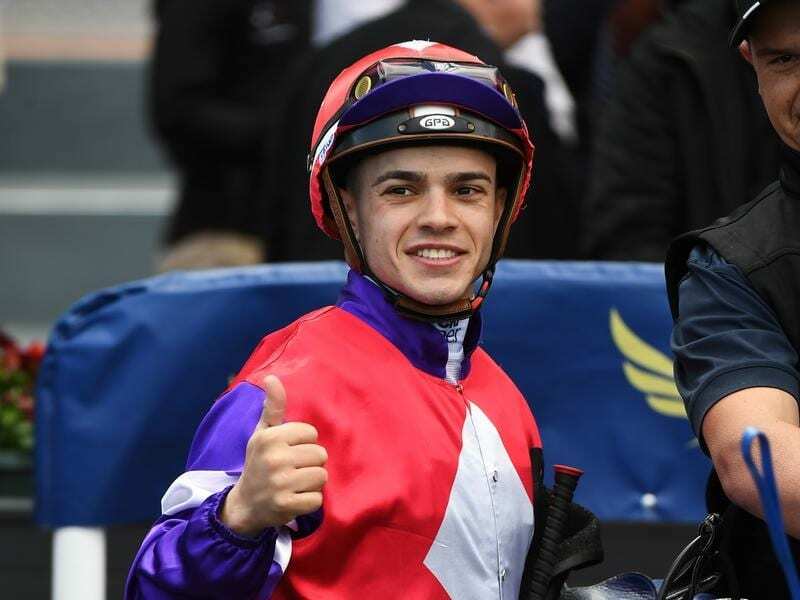 Caserta said after a stint in the sauna on Tuesday he was around 46.5kg, knowing full well the last kilogram will be the toughest as he heads to Saturday’s Group One race. “I still feel good and it feels like the weight is coming off me quite easily,” Caserta said. “I’ve been talking to a few of the boys that sweat nearly every day like Jamie Mott and they’ve told me their little secrets on how to lose weight and how to lose weight quickly. “My body has never done anything like this before as I normally walk around 50 kilos and I think my body would go into shock if I was to leave it to the last few days. Since knowing he had the ride a little less than two weeks ago, Caserta’s diet has consisted mainly of lettuce leaves, tomatoes and celery, while he has also been riding plenty of work. He rode around 15 horses on Tuesday at the Angaston property of Tony McEvoy in South Australia on an unusual summer morning. “Summer’s usually warm, but it was cold, wet and windy and I couldn’t really sweat in those conditions,” he said. Caserta heads towards the Lightning in peak form following a career-high four winners at Morphettvile for McEvoy a week ago. But he’ has been threatened with having to work every Sunday if Jedastar defeats the McEvoy-trained Sunlight in the Lightning. On a serious side Caserta said McEvoy and his son Calvin had been great allowing him take the ride on the Lloyd Kennewell-trained filly. “They were the first ones to say it’s a great opportunity and they’re so pleased I got the ride,” Caserta said.